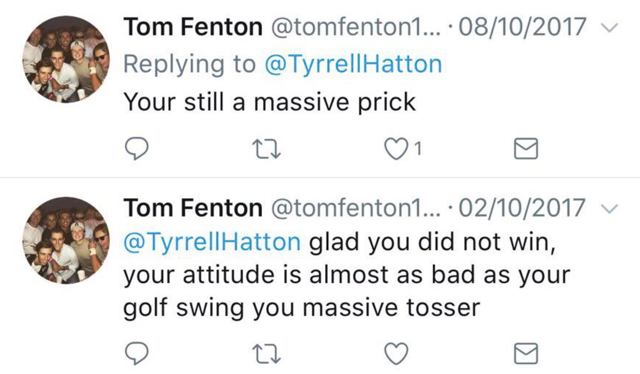 This story starts with Tyrrell Hatton getting abusive tweets a couple of weeks back from a guy called Tom Fenton. 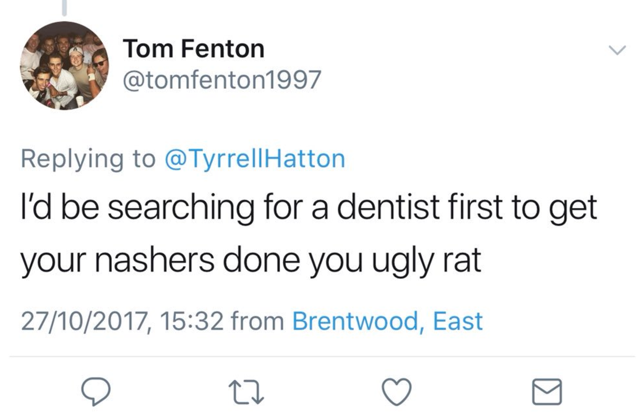 This story ends with Hatton reposting Fenton's since deleted tweets and tagging his boss! 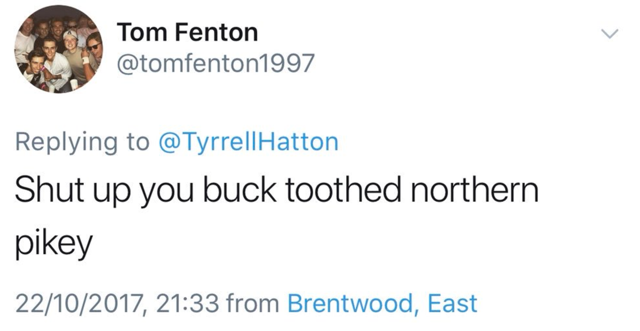 If that's not the best ever "owning" on twitter I'll eat my hat. And it turned out Hatton had kept screenshots of the said tweets. And they are pretty hurtful.